If you own a smartphone, Android, tablet or Kindle, chances are you’ve experienced the frustration and inconvenience of having the battery on your device die when you’re out and about. Even if you’re carrying a power cord, finding a place to charge your device can be extremely inconvenient. Fortunately, you can find a wide range of portable power chargers that can be used to recharge your device, even without an electrical outlet. When looking at portable chargers, be sure to keep in mind that the capacity of the charger will determine how many times you’ll be able to recharge your device. 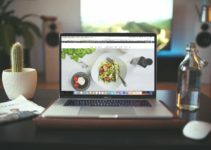 Of course, if you plan to charge more than one device at a time, you’ll not only want to consider the capacity of the charger, but also the number of ports that it has available. This ultra-high capacity portable charger is easy to take with you. It weighs just 12.5 ounces, yet can charge an iPhone 6s seven times. It can charge other devices as well, including the iPad mini 4, the Galaxy S6, Android smartphones, tablets and many other devices that are charged via USB port. This charger utilizes the latest technology to deliver fast charging. VoltageBoost and PowerIQ combine to provide up to 2.4 amps of charging power per port or a maximum overall charging capacity of 4.8 amps, for the fastest charge possible. With a 2 amp charger, this portable charger can be recharged in 10 hours; however, a 1 amp phone charger might take up to 20 hours to fully charge. This portable charger can also be used with the iPad and iPhone lightening cable. Additionally, with the Anker MultiProtect safety system, you’re always assured that you and your devices are safe. This portable charger from Spigen features a sleek aluminum body for a great look as well as durability. It also has a handy built-in torch light for added convenience and functionality, and weighs in at just 10.1 ounce, ensuring you can take it with you anywhere. This portable charger can be used to charge just about any USB supported smartphone, tablet and other device, including iPhones and Androids. The Spigen F710D has a whopping 10,000 mAh battery capacity and features both a 1A and a 2.1A USB output, allowing for dual charging capabilities for added convenience. The charger also comes with a handy LED backlit status screen that will allow you to easily see how much power you’ve used as well as when the charger needs to be recharged. The Anker PowerCore+ mini uses the PowerIQ advanced technology to automatically detect your device and deliver the fastest charging speed possible, up to 1 amp. The ultra-compact design measures a mere 3.7” x 0.9” x 0.9” and weighs just 3 ounces. This slim designed portable charger is available in 5 colors and features a durable aluminum shell for added protection. 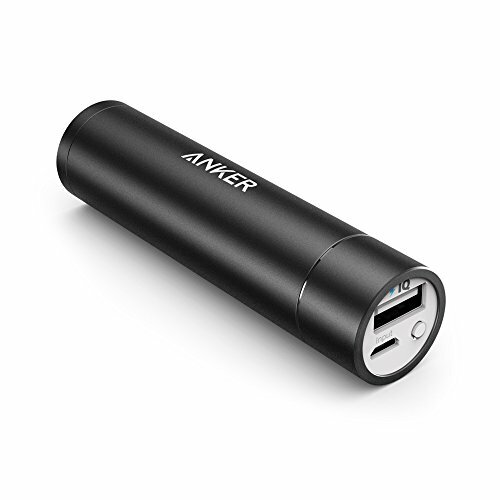 The Anker PowerCore+ mini can be charged in 3 to 4 hours using the included micro USB cable. The pocket sized lipstick design ensures you can carry this charger without worrying about added weight, but it still delivers the charging capacity you need. You’ll be able to get more than 1 complete charge for an iPhone 6 and the Galaxy S6 will get almost a complete charge. Plenty of extra talk time in a small little device that fits almost anywhere. The Crave Travel portable battery charger allows you to easily charge your iPhone, Android or other device, quickly and easily, while on the go. This powerful, high-capacity battery charger features a compact and portable design that will let you quickly recharge your devices anywhere, so you’ll never need to look for an outlet when your battery starts to die down. This battery charger features an extremely fast charging speed of 5200 mAh, so you phone, tablet or other device will charge quickly and efficiently. 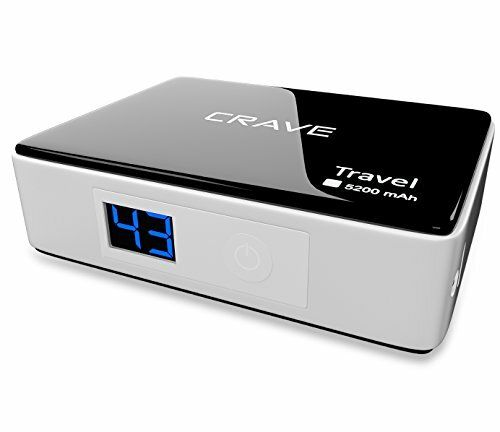 The Crave Travel is universally compatible with iPhone, Androids, Samsung and other devices, so you can use one convenient power charger for all of your USB supported devices. The RAVPower portable battery charger features 4.5 A of power for the highest total charging output on the market. This portable power bank is capable charging 2 tablets simultaneously, making it extremely fast and efficient. The exclusive iSmart technology allows this charger to automatically detect the optimal charging current for your device, ensuring the fastest charge possible. The RAVPower features 16,750 mAh for exceptional charging capacity. It can charge an iPhone 6 almost six times or an iPad Air once. 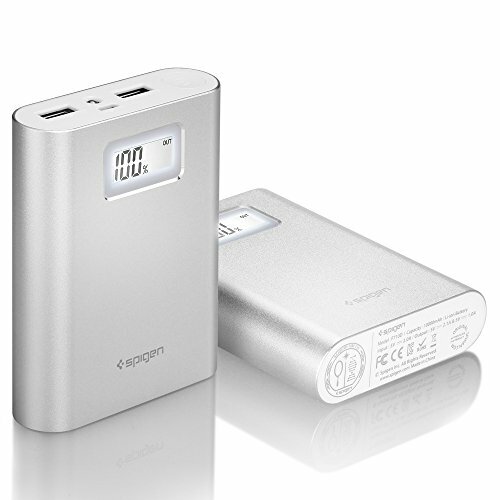 The power bank can be recharged using a 2 amp or higher output charger. 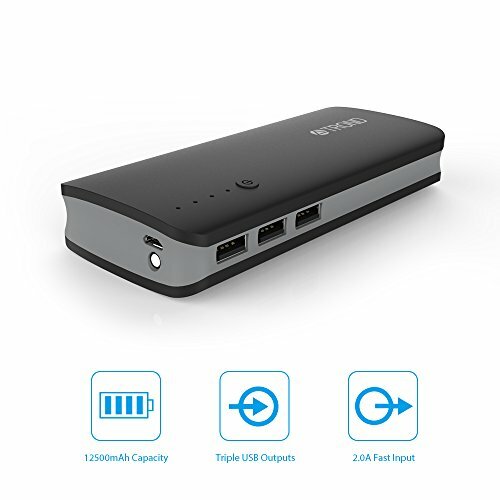 This battery power bank has a built in flashlight as well as 4 status LEDs to keep you up to date regarding your power usage and availability. With this high capacity 6600 mAh portable battery charger, you’ll never have to worry about losing power again. 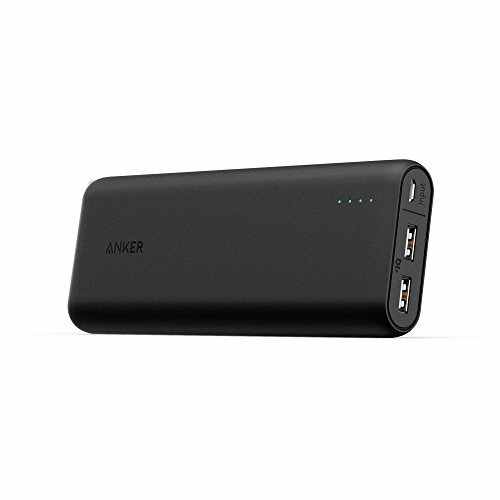 The Innogie PPM900 can fully charge the iPhone 5s or iPhone 6 two times, and is capable of almost 2 full charges for the Galaxy S5. Other phones will typically get up to 3 full charges. This battery charger comes with a user friendly design and is available in 2 great color options. Excellent compatibility, providing charging capability for most smartphones as well as the Kindle, iPad and other tablets. The dual USB ports, 1.5A and 2A, allow you to charge two devices at the same time. The Mopower portable battery charger features premium LG cells for a long lasting portable power source that is certified for more than 500 recharge cycles. The charger delivers 3000 mAh of power and offers a stylish aluminum shell. The compact lipstick design ensures you can easily slip this little charger into a pocket or bag and be ready when your device needs charging. Choose from 4 great colors and enjoy portability and power with a lightweight battery charger. 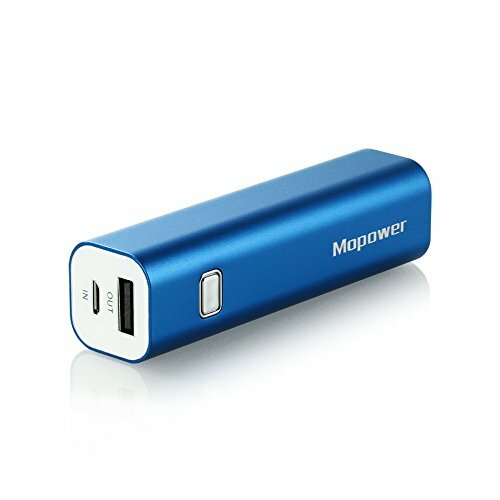 The Mopower portable charger comes with iSmart technology so your device will charge faster than with a typical USB connection. You’ll get a full charge for many iPhones and smartphones as well as 100% safe charging. If you want to charge an iPhone, you’ll need to use the charging cord that came with your phone. This large capacity 12500 mAh battery charger can fully charge an iPhone 6 up to five times or a Samsung S5 approximately 5 times. The TROND Bolt is built with a smart charging chip designed to identify your connected device and provide the fastest charge possible. The TROND Bolt has 3 separate USB outputs and is capable of charging up to three devices at once. You’ll get rapid input charging with a DC 5V 2A input, which is twice as fast as a typical 1A input used on many portable chargers. The TROND Bolt can be fully recharged in 6 to 7 hours. 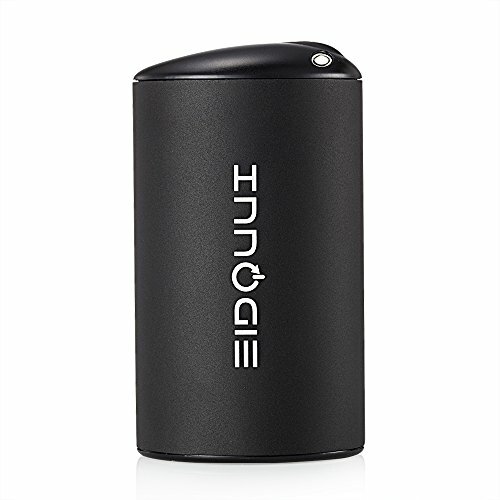 The Innogie Alien provides 10400 mAh of high capacity on the go power. It offers an impressive 2.4A/5V output and 2A/5V input and can fully charge an iPhone 6 approximately 4.5 times and an iPhone 6 plus, two times. 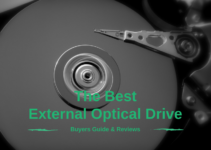 Works with a variety of Smartphones including Apple, Samsung, Galaxy, Google, Nokia and more. Additionally, the Innogie 10400 Alien portable charger can charge a Kindle, iPad or your favorite tablet. This charger comes with a 1000 charge/discharge cycle guarantee as well as a 2 year warranty. The ultra-compact ZILU Smart portable charger offers 4400 mAh of power for smartphones, androids, Kindles and tablets. The ZILU Smart charger comes with Class A 18650 battery cells and can charge an iPhone 6 or iPhone 5s 1.5 times. It can provide a single full charge for the iPhone 6 plus, Galaxy S5 and other smartphones. The compact design makes it easy to carry in a pocket and the ZILU Smart power charger comes in either black or white. This external battery pack also features a flashlight function as well as 4 LED lights to show the status of the chargers battery capacity. The charger measures 3.72” long x 1.8” wide x 0.85” high and comes with a limited 2 year warranty.